Diesel lights have to be started manually every day and maintained on a monthly basis. They also need constant refueling. Diesel light towers use .65 gallons for every hour of use, which adds up to a lot of money. They also require oil changes and air filter changes. In addition, you need to pay an operator just for diesel lights. There are often strict ordinances for nighttime construction, and it can be hard to follow this guideline when diesel construction lights make a lot of noise. Diesel lights emit CO2, which can harm the environment and create a stink — literally! Although solar towers have a higher initial cost, they have a much better financial return over time. You won’t have to deal with the unpredictable increase of gas prices, or the actual cost of fuel, oil, air filters, or operator fees. Switching to solar construction light can save you over $13,000 every year! 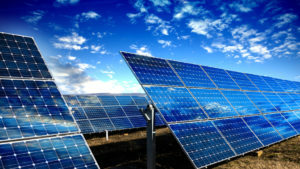 Solar-powered systems require little to no maintenance. Usually, the rain is enough to clean them, and the batteries require no attention. You don’t need someone to operate your solar towers on a daily basis; they can be controlled with an easy flip of a switch. A solar light tower is great for sites that need to “set it and forget it.” You can even control the settings remotely if you have access to a WiFi network. All you have to do is get the light to the location, and the system will do the rest. Solar light is perfect for sites with sound ordinances — they’re completely silent! These lights will never be a nuisance. Because these construction lights use the sun for their power source, they’re not putting anything harmful back into our environment. Some states even issue tax credits for renewable-energy systems. You can be secure in the knowledge that your necessary light source isn’t hurting our planet. Construction lights are vital to the safety and security of construction workers, but you have more than one choice for your site towers. Contact us to switch to the superior choice in energy.